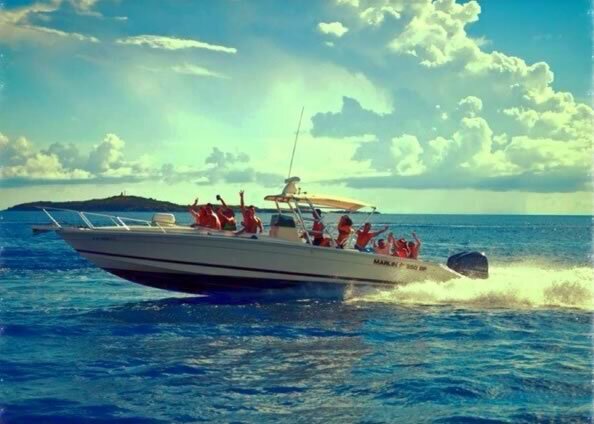 There are many DESTINATIONS for snorkeling, partying and sightseeing. We suggest some TRIPS below, guaranteed to satisfy, but ultmately you can design your own TRIP. Pick your DESTINATIONS and we'll take you there. *DESTINATIONS appear in alphabetical and not geographical order. Lovango > The Indians > The Caves > Willy T's > Soggy Dollar. Lovango > Foxy Bar > Soggy Dollar. Lovango > The Indians > The Caves > Cooper Island > Woody's > Christmast Cove. Lovango > Waterlemon Cay > Pussers > Rum Distillery > Soggy Dollar. Waterlemon Cay > Lovango > Cinnamon Bay > Woody's > Christmas Cove. 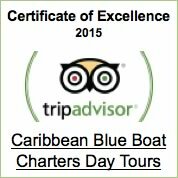 Where you can have lunch and visit the 300 year old rum distillery. You can even take the tour island style for $1. Tour of rums that is. Try them all and even see the oldest rum distillery still running in the Virgin Islands. The Callwood family runs the only rum distillery still operating in the British Virgin Islands about 100 yards from the beach at Cane Garden Bay. Located on what was once better known as Estate Arundel, the Callwood Rum Distillery. They still produce rum much the same way it was done 300 years ago. 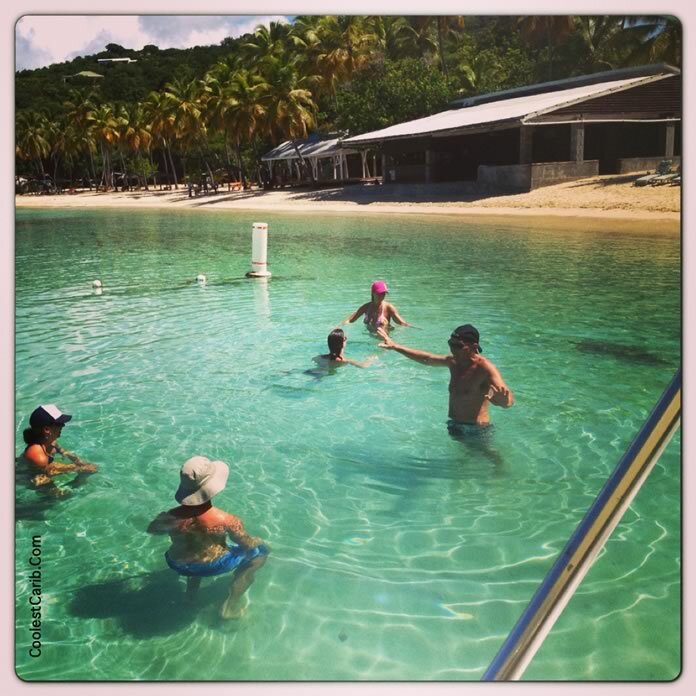 CHRISTMAS COVE - See turtles! 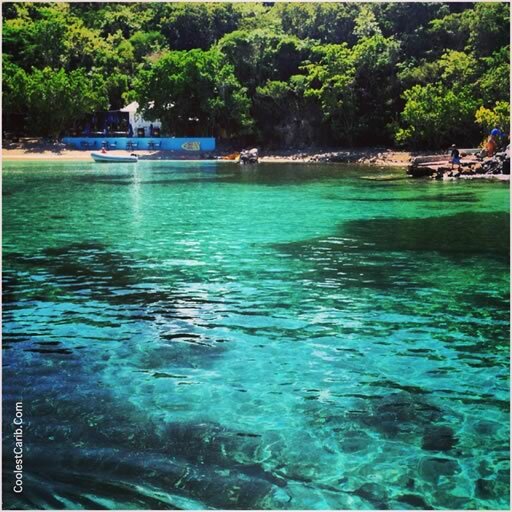 Christmas cove got its name because Christopher Columbus landed in it bay on Christmas Day. 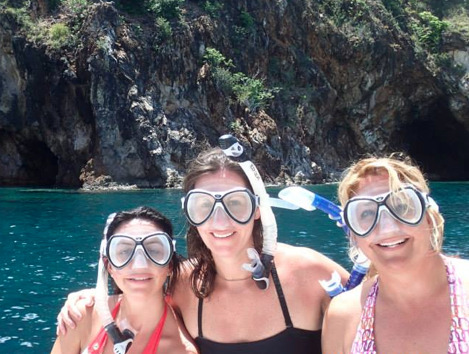 This is a beautiful place to snorkel and play with the sea turtles. One of the favorite spots for locals to go after work and have a cocktail while watching the sunset. 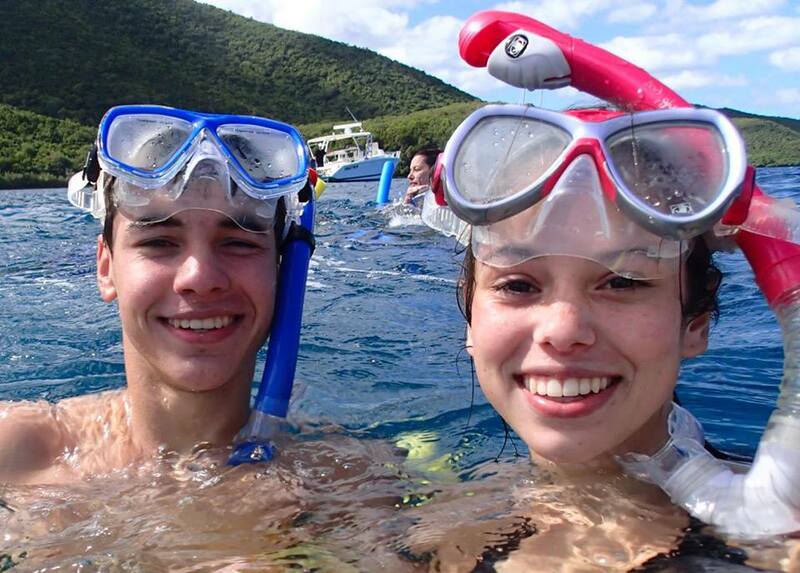 Snorkeling is good at Cinnamon Bay for both beginners and more advanced snorkelers, beginning snorkelers can explore the area around the rocks at the eastern end of the beach or between Cinnamon and Little Cinnamon Bay. There is very good snorkeling around Cinnamon Cay, the little island just offshore from the beach. At Little Cinnamon, snorkelers may find the remains of an old Cessna aircraft that crashed and sank years ago. The propeller, the engine and one of the wings are visible most of the year. The wreck is in shallow water. The island lies adjacent to "wreck alley," a popular wreck diving site in the British Virgin Islands where a number of vessels have been deliberately sunk to be a diving site. It's also a great place to stop for a "nice sit down lunch". Foxy's Tamarind Bar has been serving food and strong rum drinks to sailors and visitors since 1966 and is the best known bar in the Caribbean. 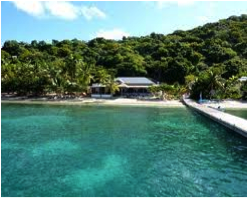 Foxy's Bar on Jost Van Dyke is well known for the largest New Year's Eve Bash for boaters and Caribbean vacationers all around the world. A great place to break in the New Year at least once during a lifetime. LOVANGO - Go where the locals go! Located just off the north side of St. John. Go where the Lovango locals go. 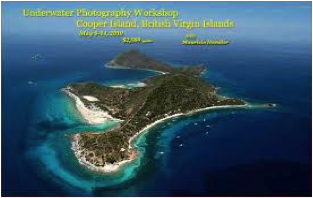 One of the three sisters, Lovango Cay is a small island just off of St. John that is a near perfect spot to snorkel. 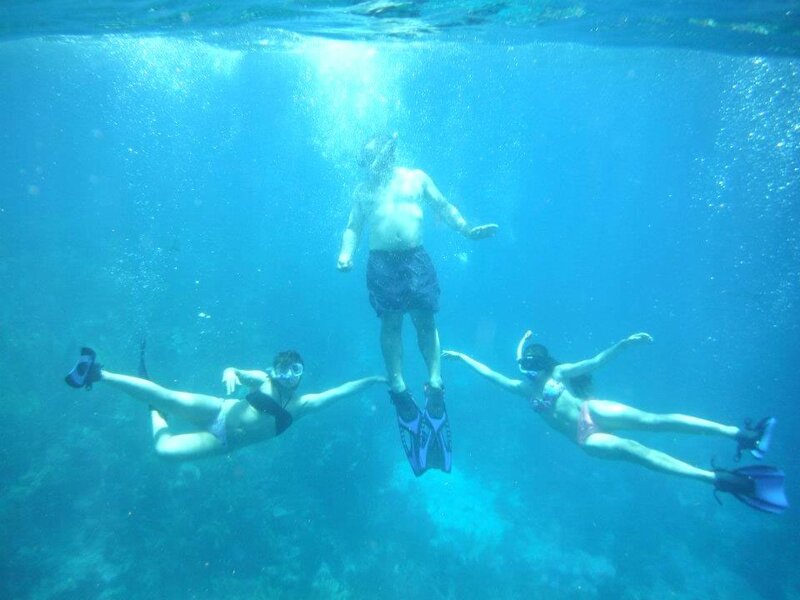 It is protected on three sides and has a large amount of coral that can be snorkeled over with ease. It has a very light current for a drift snorkel with a very live reef. Because of its location, it is a great spot to explore first. 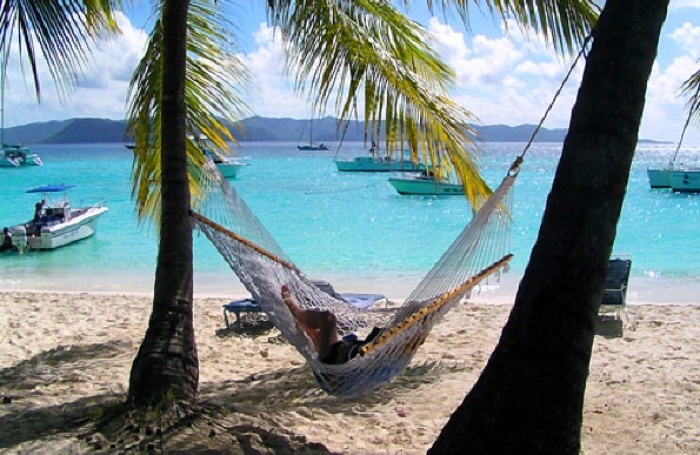 English is universally spoken throughout the British Virgin Islands. Those who work with tourists will speak quite clearly, but older natives have a thick and distinctive West Indian accent that, when spoken quickly, can be very difficult to understand. Because of the influence of British culture, a stronger emphasis is placed on politeness and decorum. It is generally expected to begin any conversation with "Good morning" or whatever time of day is applicable.The common American English habit of simply beginning a conversation without salutation is considered aggressive and even rude. You can snorkel and/or walk the small sandy beach where Corona and Victoria Secret Models go to film commercials. Take pictures of your toes in the sand and send to facebook for all your friends to view with envy wishing they were here with you! Reputedly the birthplace of the popular drink known as the Painkiller. The Soggy Dollar Bar gets its name from boaters who commonly anchor just off the beach and swim to shore to order and pay for drinks with wet money. It's not unusual to see cash drying on a line hung-up by clothes-pins. 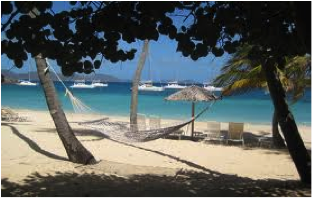 The 2002 country music video by Kenny Chesney, No Shoes, No Shirt, No Problems, was filmed on and around Jost Van Dyke. 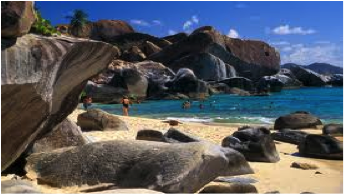 An unusual geologic formation known as "The Baths" located on the southern end of the island makes Virgin Gorda one of the BVI's most popular tourist destinations. At The Baths, the beach shows evidence of the island's volcanic origins displaying huge granite boulders which lie in piles on the beach forming scenic grottoes that are open to the sea. Locally known as Treasure Island because of legends of pirates and buried treasure. Legend has it that pirate's treasure was discovered here around the turn of the century. Also, it is believed to have inspired the Robert Lewis Stevenson classic, Treasure Island. 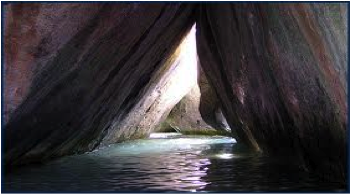 Inside the caves you will find pools of clean, cool water, ferns growing along the cave walls & a soft, sandy bottom. You will have opportunities to view rock walls & formations inhabited by tropical fish. THE INDIANS - Off coast line of Norma Island. The Indians are four unique shaped rocky pinnacles. These easy to spot rocky pinnacles rise about sixty feet above the water surface. This unique rock formation has one of the BVI's best snorkeling and diving with an abundance of coral gardens and many fish. If you look very close with much imagination the picture of The Indians sorta looks like feathers in an Indians headdress. This is how the cays got their name. The Indians are great snorkeling for children. 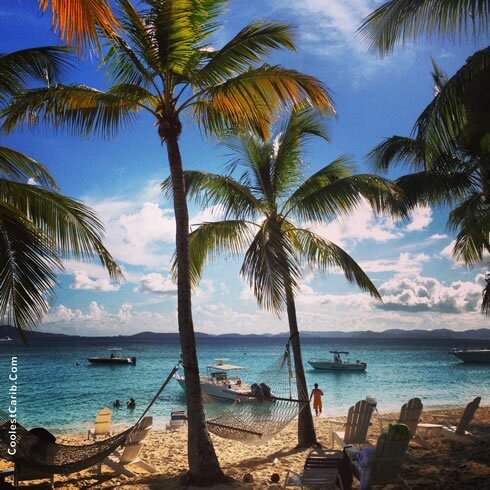 One of Water Islands' most popular beaches is Honeymoon Beach, with white sand, clear water and coconut trees dotting the shoreline makes it one of the most sought after destinations in the USVI. A trip to Water Island might include relaxing on the beach, having lunch and drinks at Honeymoon Bay or taking a *(golf cart tour) of the island and enjoying it's many breathtaking views, admiring the shoreline at Limestone or exploring the remains of military fortifications. Fort Segarra is an underground fort, part of the United States' defense strategies during World War II. Its purpose was to help protect a submarine base on St. Thomas. 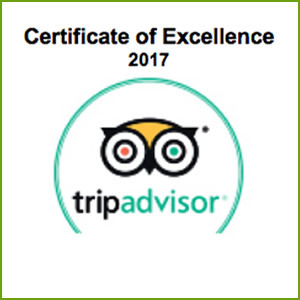 * Please note that the golf cart tour is a separately operated company and would require an additional cost for the golf cart rental. This tour would take about 1.5 hours out of your day on the water. 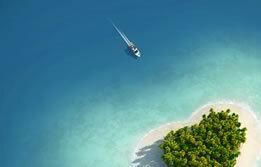 You will snorkel over an area of seagrass and scattered reef. Closer to the island, the water becomes quite shallow. Here, you will see schools of blue tang and large parrotfish. 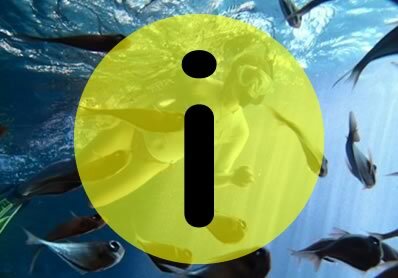 The reef is teaming with fish and other sea creatures. There are several varieties of coral to be found here; all are healthy and colorful. The sea fans and sea plumes found in the deeper parts of the reef will give you the impression of swimming about in an underwater forest. Search for eels in holes of the reef & for octopus where you will find opened shells piled together. Woody's is a local dive and hang out on St. John which is well known for the best Happy Hour around. Woody’s is like saying "Cheers" for St. John where everybody knows your name! You can't go to St. John without having a drink at Woody's. 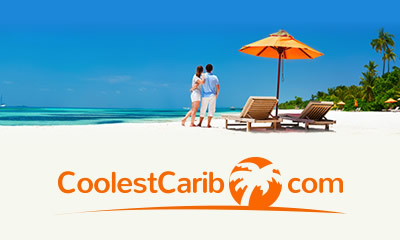 Cruz Bay is also known for its great shopping.